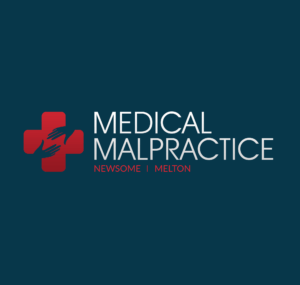 Medical Malpractice Help » Lawyer » Medication Errors Malpractice Lawyer » Can You Sue For Celebrex Side Effects? In recent years there have been many news reports about anti-inflammatory arthritis drugs causing dangerous side effects in patients. Vioxx, Celebrex, and Bextra have all been known to cause dangerous side effects up to and including death. After hundreds of patients sued the manufacturers for damages, two of the drugs, Vioxx and Bextra, were removed from the market. • Gastrointestinal problems such as stomach pain, nausea, indigestion, and diarrhea. Patients allergic to NSAIDs or other arthritis drugs such as aspirin and sulfonamides are at higher risk of experiencing ulcers and other serious gastrointestinal complications from treatment. Long-term use of Celebrex increases risk of these problems in all patients. Despite these facts, the drug continues to be sold on the market, although Pfizer has stopped advertising it on television. Celebrex has been the focus of many lawsuits filed by individuals who were harmed by the drug. Pfizer even set aside almost $9 million to pay out claims related to the damages caused by the drug. Patients who were sufficiently informed about the risks of Celebrex may not be eligible to receive compensation from a lawsuit, particularly if their condition’s severity warranted the treatment. However, patients who have been injured by Celebrex should consult an attorney to determine whether they may be eligible to receive compensation. Patients who have been injured by Celebrex are urged to consult with an attorney as soon as possible to determine their case’s eligibility. Many individual lawsuits have been successfully filed against manufacturers of harmful prescription drugs, but consulting an experienced attorney is essential to determine eligibility in these cases. Patients should not wait long, because the statute of limitations in their state may soon prevent them from being able to file a lawsuit. Depending on the details of their individual case, patients may be able to join an existing class action lawsuit against the makers of the drug. To determine the merits of their case and to find out whether their case is better suited to an individual or class action lawsuit, patients should speak with an attorney experienced at handling these cases to ensure that their rights are protected and to receive any damages to which they may be entitled.